The common time to test for VOCs is following a renovation project because the VOCs found in many building materials, furnishings, paints, and varnishes can result in higher levels of these chemicals. While some VOCs do have a clearly identifiable odor, you cannot rely on your sense of smell alone to determine the concentration of VOCs in your home.There are several different methods to measure volatile organic compounds, with the level of information varying with the method. Of course, the more detailed the report, the higher the cost. Testing for VOC’s is part of learning about the indoor air quality in your home. One VOC measuring method is the use of a photoionization detector, or PID. It’s a screening tool that approximates the total volatile organic compound levels in the area. This method’s advantages include immediate results, the ability to log and graph data over time, the ease of comparing multiple rooms, and the fact that it does not require a laboratory analysis. Unfortunately, there is some bad with all the good; this method does not identify the individual VOCs such as acetone and ethanol, they cannot detect formaldehyde and methane, and the results can only be called approximations. An air sample must be collected from the area and sent to a lab for a more advanced VOC test. Generally, the lab analysis uses a method known as gas chromatography and mass spectrometry. This method has the ability to identify individual VOCs and their concentration. Whatever method you choose, do your research and take care to choose a reputable company that cares about your health. Some companies involved in VOC testing will collect your samples with ease, but stutter with the interpretation of the results. You don’t want a company to simply leave you with a dozens long list of the VOCs they found! You’ll want a company to compare your results with exposure guidelines from organizations such as OSHA and EPA, and you’ll want them to provide you with solutions to the problem. To help keep levels of volatile organic compounds low as possible be certain to take care when using VOC-laden products, and choose those products that are free of VOC or at least those that are low. In Ohio areas such as Columbus, Springfield, Dayton and all of Central Ohio the company to contact for VOC testing is Habitation Investigation. 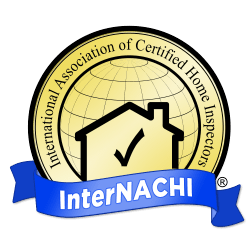 Habitation Investigation has inspectors who are training in sampling for voc, mold and house construction and ventilation that call effect the environment within the home.